Theranostic agents or theranostic imaging as its name suggests is a combination of two terms-‘diagnosis’ & ‘therapy’. Efforts are being made to combine both the terms into clinical formulations. This theranostic imaging is found to be very much significant to complex diseases like cancer and proliferative tumors especially because accurate photocopy for every tumor can be obtained by genomic and proteomic profiling and using such informations in theranostic agents can be constructed or modeled in such a way that it is specific in its action and selective towards the cancer cells only, without causing any adverse effects on the normal tissue cells. By means of nanoplatforms, we can conveniently deliver cancer cell specific targeting ligand or peptide inside the human body. 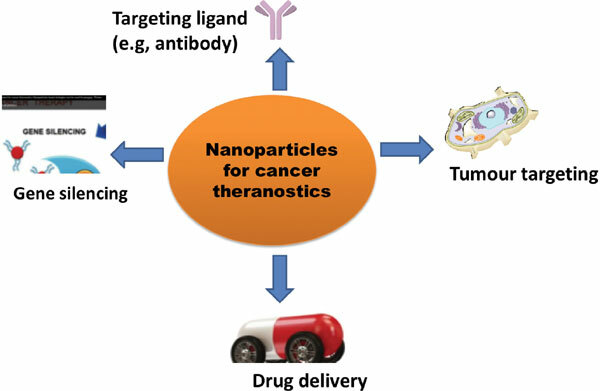 Primary delivery approach comprises of nanoparticles, liposomes, dendrimers, prodrugs, polymersomes, carbon nanotubes and polymeric micelles. Theranostic agents, i.e., therapeutic and diagnostic agents can be physically bound or else they can be bound with polymers which are exclusively designed and this together forms nanocarriers. Hence, the review highlights the advances of nanotechnology that has given us a platform for cancer detection and treatment. Anti-cancer, theranostic agents, nanocarriers, cancer, m-RNA, pharmacokinetics.